Provide comfort for the family of Tia Gray with a meaningful gesture of sympathy. Mrs. Tia Scercy Gray, of Farm Pond Road, Concord, passed away Thursday, March 7, 2019 in Winston-Salem. A graveside service will be 1 PM Wednesday, March 13 at Sunset Cemetery in Kannapolis. The family will receive friends from 11am until 12:30pm, Wednesday at Wilkinson Funeral Home. Tia was born February 5, 1968 in Concord to the late Elic A. Scercy and Betty Overcash Scercy. She was a homemaker. 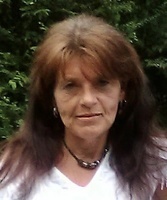 Tia is survived by husband, Johnny L. Gray, Jr.; daughter, Jamie L. Brown and husband, Ryan Price of Salisbury; sons, Dillon Scercy of Concord, and Johnny Gray III of the home; 4 grandchildren; sisters, Traci Scercy of Shelby, and Tiffany Kirkman and husband, Larry of Kannapolis; and her grandmother, Jessie Overcash of Rockwell. Donations may be made to Wilkinson Funeral Home, PO Box 344, Concord, NC 28026 for funeral expenses. To send flowers in memory of Tia Scercy Gray, please visit our Heartfelt Sympathies Store. We encourage you to share your most beloved memories of Tia here, so that the family and other loved ones can always see it. You can upload cherished photographs, or share your favorite stories, and can even comment on those shared by others.